McNary couldn’t play the spoiler role as McMinnville won 54-40 on Wednesday, Feb. 21 to at least share the Greater Valley Conference crown. The win was the Grizzlies’ 12th in a row, dating back to Jan. 9. McMinnville was also the only team in the GVC the Lady Celts weren’t able to beat this season after splitting with South Salem, Forest Grove and West Albany. McNary fell behind early as the Grizzlies took an 18-10 lead with a 3-pointer to begin the second period. McMinnville then banked in a 3 at the buzzer to extend its lead to 32-19 at halftime. The Lady Celts opened the second half on an 11-4 run to get within 36-30 with 3:49 remaining in the third but couldn’t get any closer. 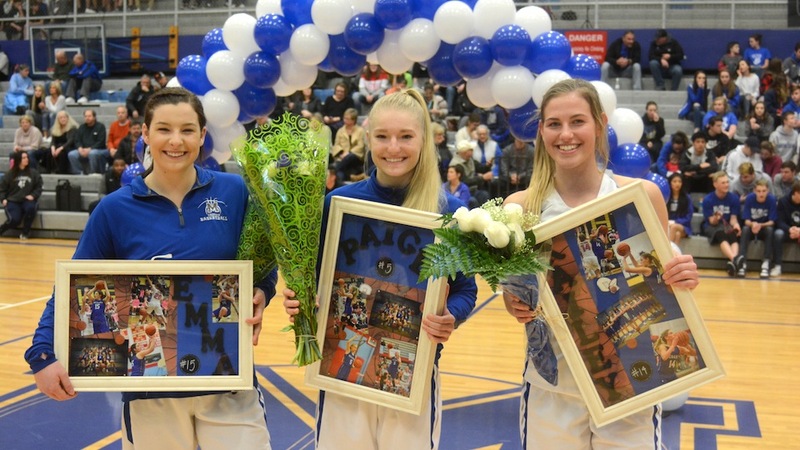 After the game, McNary honored its three seniors—Kailey Doutt, Paige Downer and Emma Kinler. Doutt led the Lady Celts in scoring with 16 points. Downer finished with nine. Sabella Alfaro also had nine and Abbie Hawley added six points. The first round of the 6A girls state tournament begins Tuesday, Feb. 27. McNary will find out its opponent when the OSSA power rankings freeze Saturday, Feb. 24 at 10 p.m.